Improve your selling skills with us ! 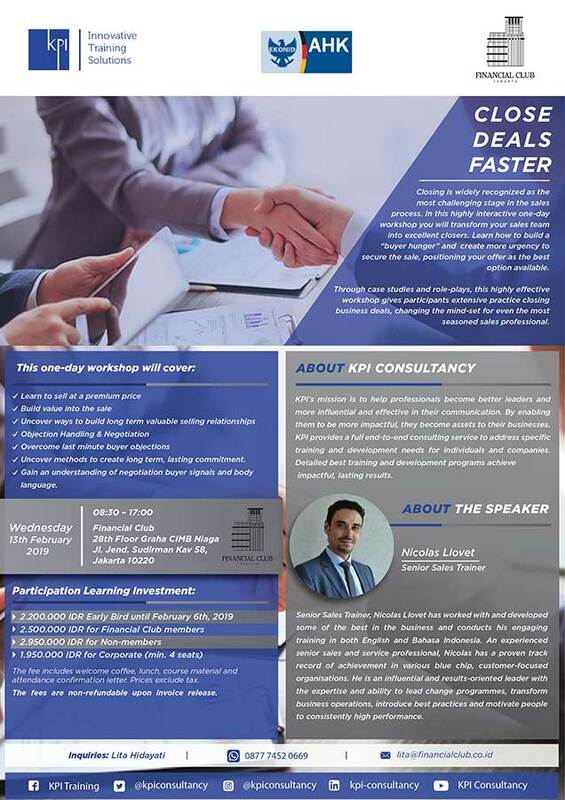 Join our session with KPI Innovative Training Solutions on Wednesday, 13 February 2019 at Financial Club Jakarta. Find out sales skills to make sales happen faster with Nicolas Llovet, Senior Sales Trainer.